Whilst resorts such as Sunny Beach and Golden sands are now relatively well known to British Holidaymakers, there are a number of other resorts in Bulgaria that are offered by tour operators. Many of the hotels claim to operate to a high standard but where these standards are not maintained, serious illness outbreaks can occur. Salmonella, E. Coli and Campylobacter can be a problem when hygiene procedures are not followed. If food is not stored properly, cooked thoroughly or is exposed to contamination then sickness and diarrhoea is likely to follow. The symptoms may be unpleasant but short lived or can in some instances have serious long term implications. If you suspect that you have become ill as a result of staying at a hotel in Bulgaria then contact us to see if you are entitled to claim compensation. Away from the major resorts we keep watch over the below hotels for signs of illness that can be linked to food, drink and poor cleanliness. If you have stayed at one of these hotels and have suffered from food poisoning then contact us now to see if you are entitled to claim compensation. 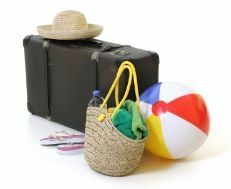 If you have travelled on a package holiday and have been ill as a result of food poisoning then providing your illness commenced within the last 3 years you may be entitled to receive compensation for your losses. At Simpson Millar, our Holiday Compensation Claims Team regularly bring claims against tour operators. We are therefore well placed to advise you as to whether you have a valid entitlement to claim compensation. If you would like to bring a claim or are unsure as to whether you are entitled to make claim contact our dedicated team of lawyers without delay for free advice on a no obligation basis.